Small businesses may have a lot of hurdles to jump over, but one of the tools in their arsenal that can make life easier is an effective marketing strategy. And while it’s easy to get caught up in individual tactics and thought leadership, what’s most important is that you lay down a strong foundation for your chosen marketing strategy to flourish. With that in mind, we’re going to break down the approach your small business should take when putting together a marketing strategy. By the time we’re finished here, you and your small business will be armed with all the tools and knowledge you’ll need to clear those hurdles and dominate your industry in the process. Right off the bat, you’re going to need to clearly define why customers should choose you over the competition. Even in the smallest industries, your ideal customer is likely going to have plenty of other options. That means that if you want to consistently earn the attention of consumers, you’ll need to determine the reason why your business is the right choice. To be absolutely clear, this is about more than just restating your business’ mission statement. Figure out the purpose that your business serves in the lives of your customers. Are your products and services related to everyday living? Social status? Convenience? These are the kinds of questions you need to be ready to answer. It may not be glamorous, but rest assured that clearly determining what your advantages and disadvantages are in your industry will make marketing your business significantly easier. 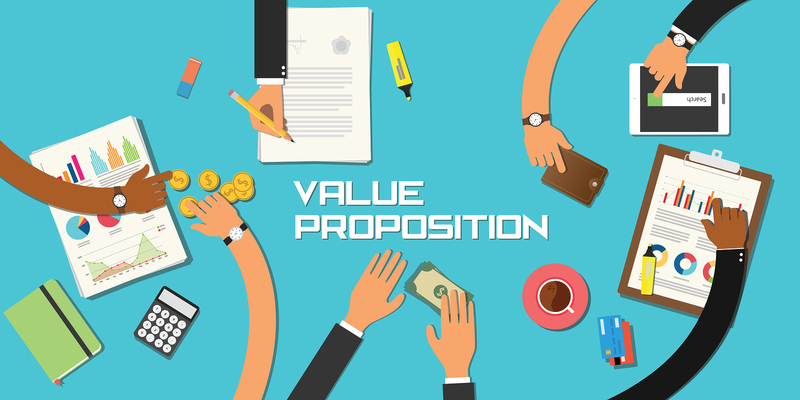 Once you’ve established your value proposition, you’ll be one step closer to marketing yourself properly. But it’s not enough to know why you’re valuable to the marketplace. To truly market your business well, you’ll need to both identify your target customers and understand the way they shop. It’s worth pointing out that while terms like ‘target customers’ and ‘target market’ are usually interchangeable, they mean significantly different things in this context. Target markets typically refer to an area, geographic or otherwise, that you serve. Target customers, on the other hand, are the people that are most likely to purchase your product. When it comes to marketing, figuring out who those people actually are usually comes down to a combination of both demographics and psychographics. We’ve all heard of demographics, but there’s a chance some of you may not be familiar with psychographics. Essentially, it’s data that measures your audience behavior. While the more accurate data is going to require membership to an analytics organization, there is a fair amount of work you can do on your own, provided you know the industry well enough. If you’re an industry veteran, quantify a few factors of your average customer’s life. Do they live active or sedentary lifestyles? What social class do they typically belong to? Name some of their favorite activities and hobbies, identify their values, personality and attitude. Simply doing this level of research on your own will make marketing your business that much easier. Any competitor that directly targets your ideal consumer is worth paying attention to. Start by auditing the state of your business and honestly assessing the state of your competition. A good exercise to practice here is to start by imagining that you’re the only two businesses in your entire industry. Imagine you’re both wholesale dropshipping stores. If you wanted to beat them in such a narrow market, how would you do it? What advantages would you rely on? What weaknesses would you exploit? These are going to play a central role in the creation of your future marketing strategy, whether you sell Beats by Dre headphones or Juul e-cigarettes. Also, take some time to consider what their response to heightened competition would be. Would they use discount codes? Or aggressive advertising? Being prepared for their response will allow you to properly defend yourself down the line. Too often, we see small business owners ready to implement some new marketing tactics and strategies, only to find out that they’re more expensive than they anticipated. The truth about marketing is that you need to be prepared to invest in the promotion of your business. And while there are plenty of cost-effective ways to do this, there’s no getting around the fact that sooner or later, you’ll need to spend money to get people’s attention. Even on social media platforms, where the focus used to be on organic reach, you can expect to either ‘pay to play’ or quietly sit in obscurity. So, before you start to get caught up in all the nuanced strategies and interesting tactics, make sure that you’ve taken the time to properly build a realistic marketing budget for your business. Some businesses spend $100 a month, some spend $1000 a month. It all comes down to how aggressive your goals are and what platforms you want to be seen on. You can build an effective marketing strategy at any budget — what’s important is that you establish what that budget is. What steps are you taking to establish your small business in the market?